Stainbusters NW are the premier carpet cleaners Warrington and upholstery cleaners Widnes, we stand out as one of the best Cleaning Companies in the North West of England. John Latham has been cleaning carpets in offices and Houses around Warrington, Widnes and Cheshire for over 10 years and there is nothing he will stop for when it comes to getting stubborn stains out of carpets and furniture. Please navigate around this website to see the sort of work we do, and please don’t hesitate to contact us by phone on Warrington 01925 852088 or by email on warrington@stainbustersnw.co.uk if you have any questions or would like to chat about your cleaning job. If you are looking for Carpet Cleaners Warrington and Widnes in Cheshire or Upholstery Cleaning in Warrington and Widnes in Cheshire, you need look no further. Take a look at the pages in our website and give us a call for recommendations, referrals and testimonials. 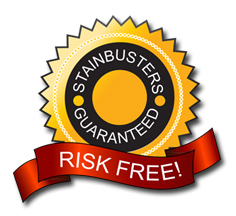 Stainbusters NW are based in Warrington and Widnes in Cheshire, but can travel to almost anywhere in the North West. If you are located outside of these areas, call us to arrange a visit.